Following a tough weekend of games and a handful of losses, the Petes welcomed the Sarnia Sting for the final game in the first of back-to-back three-in-threes which had so far given them two losses in a row. Six different Petes found the net, solving their offensive struggles on route to a 6-3 victory over the Sting. 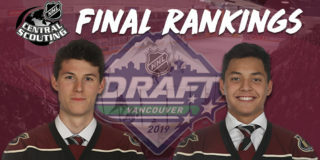 The Petes would take early command of the score board on a power play as Cameron Butler was assisted by Maple Leafs prospect Semyon Der-Arguchintsev to give the home team a 1-0 lead. Shortly after Butler scored, fellow rookie Shawn Spearing would get the puck with assists from Erik Cermak and Der-Arguchintsev and managed to put it in behind Sarnia goaltender Cameron Lamour, giving the Petes an increase in their lead at 2-0. This was far from the end as at 9:21 on the clock the Lift Lock Lads struck for their third consecutive goal when newly acquired Pete Michael Little and veteran Chris Paquette worked the puck to Ryan Merkley who was able to get through Lamour, causing Sarnia to send in backup Ethan Langevin. The Sting got themselves on the board at 4:30 as Jacob Perreault took an assist from Jamieson Rees to mark it 3-1. Sarnia then raised the stakes with a pass from Alexandre Hogue that found Colton Kammerer to bring the Sting within one goal. At the end of 20 the scoreboard read 3-2 in favour of the Petes as the Sting held slim control of the shots at 18-15. The second opened with a Sarnia goal to tie it at 3-3 as Franco Sproviero was assisted by Sean Josling and Ashton Reesor. Peterborough wouldn’t let the tie stand long and it was a puck from Chris Paquette which found the stick of Nick Robertson to put the Petes up 4-3. The maroon and white continued their assault on the net as John Parker-Jones was assisted by Robertson and Cermak for the Petes’ fifth of the night. Before the end of the period the Petes would hit the net once more. This time Cole Fraser and Grondin connected to Chad Denault to restore the three-goal lead that started the night. The teams would go to their rooms with the Petes leading by 6-3 while the Sting held the shot clock 30-26. With the final period presenting no further action, the 6-3 Peterborough victory would be assured, ending the downward streak which had started against Oshawa on January 10. 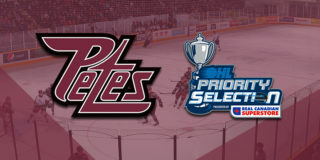 Final shots were 36 – 34 in favour of the Petes . Robertson, Jones, and Sproviero were named the game’s first, second, and third stars, with Little named the Mark’s Hardest Working Player of the Game. 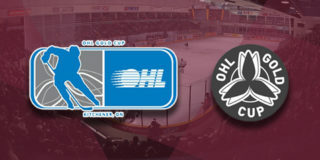 The Petes are back at the PMC on Thursday, January 24th at 7:05 p.m. to take on the Saginaw Spirit. 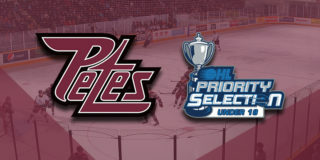 Petes Holiday Flex Packs are available for just two more games. For just $59.99 (tax included), fans will receive two Petes holiday mugs, two $2 Tim Hortons Tim Cards, and four flexible ticket vouchers to be used at games on January 24 and 30. The regular price of this package is $118, which means fans save almost 50% on the special offer. Contact Mike at (705) 743-3681 x 263.